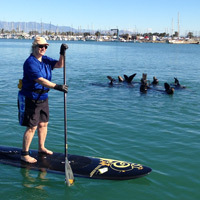 Praise & Accolades | Neverboard Inc.
I’ve taken the board out several times now and love it. I’m still getting use to it, but overall it’s working out great. Great service, honest feedback and quality products! 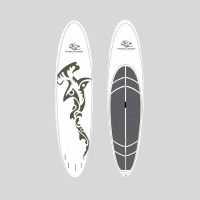 After having tried several brands of paddleboards over several months, I purchased the Tropical Blends 10′-6″ “Wahine” board through Neverboard. I am as thrilled with it today as I was when I first got it. This board is the best of everthing I tried. The size is perfect for me. It can move around effortlessly on the water and with great control when you need it. And I think Tropical Blends makes beautiful, eye-catching boards. You get good design and a gorgeous board at the same time. And many thanks go out to Patti and Matt, who encouraged me to try paddleboarding in the first place. Their enthusiasm for the sport is great. They went out of their way to be helpful, providing different boards to try out, instructions and always the best company to be with. I’ve been paddling my Tropical Blends “Nui Loa” for several months now, and it’s still as fun as the first day! 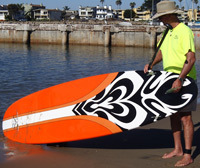 The combination of its ability to glide a mile with every stroke of the paddle makes it an excellent touring cruiser, while the rocker and outline make it fun to longboard in the waves as well. While the first board I bought sits in the garage gathering dust, I take my Nui out every chance I get, because I know I’ll have more fun with it, and only need one board to cruise or surf – sometimes both on the same day! From the second I stood up and glided across the water on a Tropical Blends, I Knew that I had found my board. Just to be sure, Patti and Matt had me try several other styles for comparison. I love paddling on my Tropical Blends board and will be buying a second board soon. Me and Craig just got back from Mondos. I had a blast with the new board. It really glides on the waves!! Lots of fun. We are in luck with the paddle. The length was OK and it’s a lot lighter than my old one. Easy on my shoulder too. So I’m a Happy Camper. Thanks for all your help and Merry X-mas.